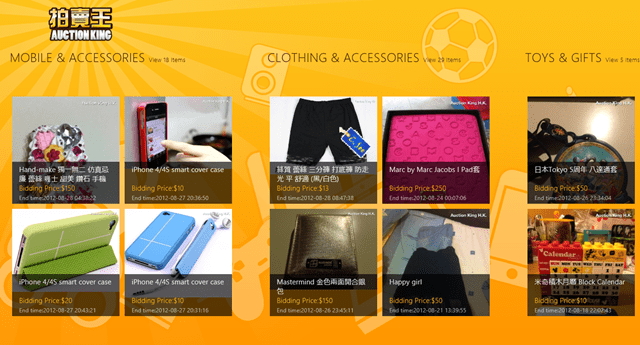 Auction king is a free Windows 8 Auction app where you can bid hottest auctioned items. This Windows 8 app is for those who like to do kind of smart shopping on numerous online auction sites like eBay or SnapDeal etc. Windows 8 comes up with an app where you can not only perform action for different products, but also can you get info of auctioned items such as bidding price, number of bids, expiry date, and so on. You can perform online auction at Windows 8 auction app, on what you want on very low prices on the stuffs settled for auction. You can have a long-range of accessories like cell phones, clothes, health & beauty products, car parts, household components, multimedia stuffs, and number of gadgets or other products for bidding. No more browsing through eBay or Flipkart or any other sort of website. 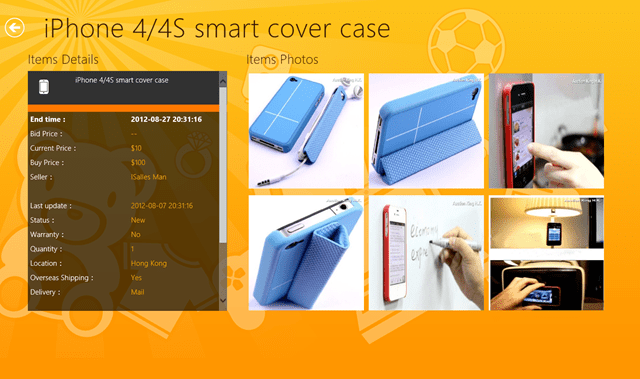 Just download this Windows 8 app and you are good to go for bidding. Just select a category and click on the stuff you want to put your bid on. Other than that, you can also check the specification and description of the selected product with their related photos, warranty, current price, expiry date, number of bids, its status, and other sort of specifications. You can have a look on the screenshot below. In addition to that, you can also share the product you want with your friends through social networking sites. Yes, that means you can share the product with your social group with the help of this Windows 8 auction app. Also, check out our post on Windows 8 YouTube App. So fellas, bid your uncommon price and stay tuned for that product and go ahead with your online auction skills. Why not give this free online auction app a try available under the “Lifestyle” category of Windows 8 store.